This is the final Transsolar Academy 2017/18 News and takes us to Mexico. But no fear, the Water Monster is a good one! The Axolotl (Ambystoma mexicanum) is a Mexican amphibian with all sorts of amazing features. Axolotls have the ability to restore limbs, organs, even parts of the brain. Of course, the animals appear only as a permanent larva, without undergoing the usual amphibious metamorphosis. 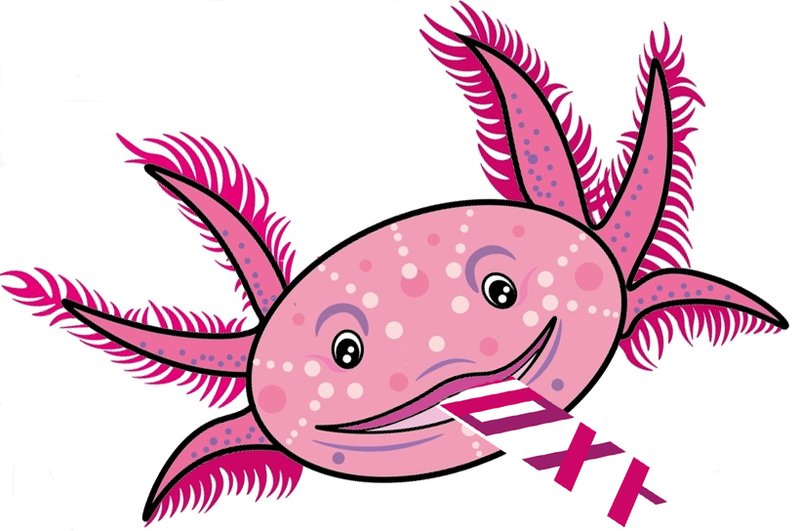 Translated from Aztec, Axolotl roughly means water monster; it is nocturnal, prefers cool, oxygenated fresh water and stays on the bottom of the river. If you think further about the terms “Mexico”, “fresh water” and “amazing features” it becomes apparent why Jose Santiago Martinez Torres chose this name for the software tool he developed. Santiago is from Mexico. His novel tool addresses a very complex topic: water-sensitive design. The software helps to develop green infrastructure (GI) and low impact development (LID) strategies, offering as little (negative) environmental impact as possible on the urban development. The user-friendly Rhinoceros-Grasshopper tool helps architects and city planners to calculate infiltration rates into the soil and how much rainwater drains off, depending on different surface types. It is possible to determine the water demand of buildings and to dimension storage tanks to receive rainwater for reuse. The „Mexican software salamander“ can be linked with the tool TRNLizard. It also helps with outdoor UTCI comfort calculations depending on the availability of water surfaces as rainwater storage. The software is open-source, so it can be customized or extended. Santiagos amphibian is currently designed for, but not limited to, Mexican cities. It is able to instantly access information from more than 600 meteorological stations in Mexico City, Nuevo León, Jalisco and Baja, California.